In the latest episode of Joey Diaz’s podcast The Church of What’s Happening Now, former heavyweight boxing champion Mike Tyson discussed his new weed business. The discussion between him and Joey Diaz quickly turned to CBD, also known as cannabidiol. Joey Diaz asked Tyson “You love CBD oil?” The champ replied “Yeah, I think it’s the miracle oil.” Diaz reples “Me too.” He then goes on to discuss his favorite brand of CBD tinctures, gummies, and ointments. 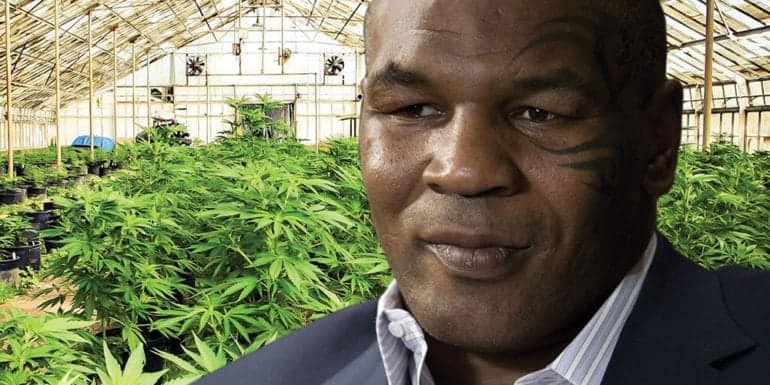 In early 2018 Tyson broke ground on Tyson Ranch, his new marijuana farm and weed business. Since then he has landed deals with several dispensaries throughout California. The Tyson Ranch website currently only lists 12 dispensaries that carry his products, but it’s reasonable to assume that TR weed will be available everywhere pot is legal soon enough. The Tyson Ranch brand contains a full range of marijuana-derived products. Whether you’re looking for hemp-infused beverages, muscle pain ointments, flower, or edibles; Tyson Ranch has it. We’re definitely excited to see what new products this brand has in store for the future.